Honourable Premier, Madam Speaker, MECs, Colleagues and Distinguished Guests. I addressed rights issues in this chamber on Tuesday and will do so again today. Since the beginning of this term of office, the Eastern Cape Department of Health has spent much of its time on the defensive to the detriment of its patients and its mandate to serve our people’s health needs. I will, therefore, describe just how this inability to face reality has damaged the Department’s reputation, hurt its patients and frustrated service delivery. For starters, the ECDOH is in crisis and in debt because of medico-legal claims. This debt is compounded by staff and equipment shortages like the very recent shortage of a flexi-scope at the PE Provincial Hospital on 25 March 2017. This procurement failure is a case that may come back to haunt the department, as a 28-year-old patient has just had his mobility reduced from perfect to an approximately 5-meter walking range with one foot turned inwards and non-stop trembling in both legs as soon as his right leg hits the floor! Sadly, as the list of tragedies continues, so too the list of medico-legal claims increases and service delivery decreases. Malnutrition statistics in today’s Dispatch confirm that 1205 children died from malnutrition in our province. Statistics from the District Health Barometer (DHB) also indicate that in 2016 the in-patient early neonatal death rate was 52% higher in the Eastern Cape than in the Western Cape. This means that the percentage of baby deaths in the Eastern Cape Province is about one and a half times worse than in Western Cape facilities. The biggest challenge to our Health Budget is the outstanding, unbudgeted medico-legal bill, currently in excess of R17-billion. 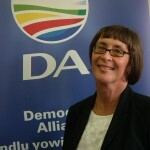 The DA is therefore pleased to note that the Department now has a strategy based on administrative intervention as well as the appointment of paralegal secretaries at districts and at highly litigated facilities and that it intends to secure file storage and clinical intervention by the procurement of medical equipment to monitor high-risk pregnancies. On a not so positive note, it is troubling to learn that the Department is phasing out the training of Cuban doctors and reducing bursaries while continuing to battle with the CDC (Coega Development Corporation). The DA fails to understand why the CDC has had to wait for payment that was eventually forthcoming outside the court and would like to see increased co-operation from the DOH in the future. In the last six months, the ECDOH has been subject to major negative publicity because of the state of Provincial Mental Health Facilities. Such publicity includes ongoing stories about the violation of patients’ rights at the Tower Hospital in Fort Beaufort, assault at the Fort England Hospital in which the patients’ family laid charges because the patient was allegedly placed in a separate room and stripped and beaten. The DA condemns cruelty that violates patients’ rights and looks forward to receiving a report on this incident with a full explanation of why this beating occurred and who was on duty at the time. Consequence Management is essential and heads must roll after such inhumanity. We condemn the Department for indulging NEHAWU’S threats at the Fort England Hospital and for transferring a competent CEO after a union threat to make the Fort England Hospital ungovernable. Mental Health patients are a vulnerable group. The DA supports the protection of all patients’ rights and looks forward to seeing stability and good governance at all the DOH Mental Health facilities in our province. On 8 May 1996 when our country’s new constitution was passed, ex-President Mbeki delivered his famous “I am an African” speech and said “I owe my being to the hills and valleys, the mountains and the glades, the rivers, the deserts, the trees, the flowers and the ever-changing seasons that define the face of our native land”. These well-known words tell a truth of the unconditional love for South Africa that each person in this Chamber shares regardless of age, status, pigment or any other variable. Yet our province and the Eastern Cape Department of Health (ECDOH) in particular, face substantial resource and delivery challenges that will negatively impact on the department’s performance as well as its ability to deliver reliable healthcare in the future. This comes at a time when unemployment in our province has increased to 36.6 %, and when South Africa is deeply in debt. Such conditions demonstrate the growing wealth gap between the haves and the have-nots. Our unemployed and poor citizens will suffer to survive the additional levies of a 1% VAT increase, coupled with President Ramaphosa’s determination to “…take advantage of rapid technological change” that will succeed in affluent suburbs but not in the marginalised rural areas of the Eastern Cape in which citizens for example in Tsomo, rely on solar power to charge cell phones. Conditions in our province remain stratified by access to jobs and continue to generate a visible insider/outsider dichotomy that regularly spills over into frustrated service delivery protests at ECDOH facilities. For example: on Friday 11th May 2018, concerned parents enquired about their pregnant daughter’s wellbeing at the Cradock Hospital and received no response other than a rude noise! In the NMBM on 29 March 18, clinic staff were prevented from leaving the grounds of the Zwide Clinic and most recently when the only working lift at the PE Provincial Hospital broke down, staff were expected to carry Oncology Patients upstairs to the Oncology Department. Yet when volunteers came to help Oncology patients up the stairs the nurses who came to help patients, were subsequently disciplined by the Department. Surely this reaction flies in the face of the foundation of healthcare based on patient’s needs? For this reason, the DA has written to the Health Ombudsman and will the circulate feedback. During 2017 goods were stolen from the pharmacy of the Tshangana Clinic. Communities served by the NU 11 Clinic protested because their clinic was understaffed, staff vehicles were broken into at the Soweto-on-Sea Clinic, a security guard was stabbed and had his cell phone stolen at the Rosedale Clinic. Nurses were assaulted by patients at the Lunga Kobese Clinic, a schoolboy died at the same Clinic in 2018 and roof leaks at the New Brighton Clinic flooded the waiting room this year, despite repairs to the tune of R600 000 in 2017! It is quite obvious that ECDOH staff suffer many challenges because of medico-legal debt and that their working conditions are often harsh and difficult. Contingent medico-legal liabilities as at February 2018 amount to R21.3-billion. Hence, as only 2% of this amount has been paid, and our State Attorneys’ attempts have not successfully shrunk medico-legal costs, this expense is likely to grow and add to the department’s debt burden. As reported by the Daily Dispatch (2017/Nov/01) the highest unemployment increase in South Africa lies in the Eastern Cape to include up to 36,6 % of our population. This means that 771 000 unemployed people in the province will require financial support and almost a third of the people in living in the Eastern Cape are jobless! A further consequence of departmental incapacity is that pregnant moms in this province continue to vote with their feet and use taxi’s to deliver their babies in Cape Town because infant and maternal mortality rates are lower in the Western Cape than they are in the Eastern Cape. The DA supports all efforts to reduce medico-legal costs, particularly because medico-legal payments are classed as “fruitless and wasteful expenditure”, so no provision is made in the health budget to fund this debt. This makes a mockery of planning, as payments then have to be made by removing funds from various departmental budgets. This frustrates our planning process and appears to be nothing but a smoke and mirrors, box-ticking exercise to create the unreal appearance of a healthy budget. For these reasons and because the DOH has promised, but never delivered an organogram, the DA, therefore, does not support this budget.